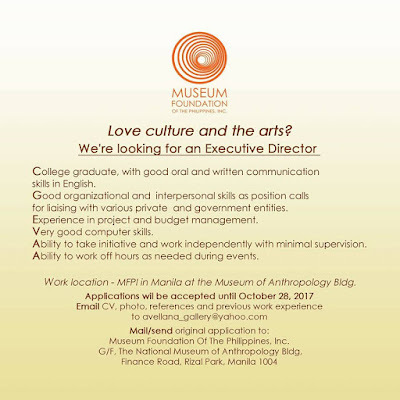 The Museum Foundation of the Philippines Inc. (MFPI) is seeking for a new Executive Director. 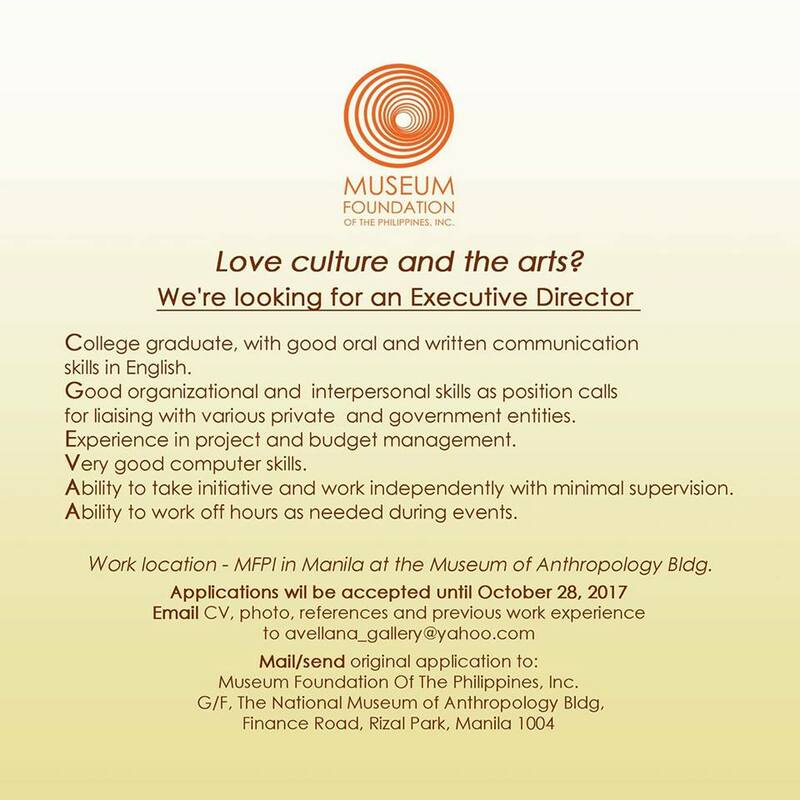 Work will be office-based in Manila at the Museum of Anthropology Building. Email your CV, photo, references and previous work experience to avellana_gallery@yahoo.com . For the job descriptions, please look at the poster above. Deadline of application is on October 28, 2017.